Condo affascinante in Mobile storico, vieni ed esplora! Check in: 4 P. M.
Check Out: 11 A. M.
Nella community troverai il centro commerciale Weinackers FAMOUS 1882 in fondo alla strada, Winn Dixie, Starbucks, Papa John's, $ Tree, ecc. Se hai voglia di andare a fare un giro corto, appena giù Gov St è il famoso Pub di Callahan su Marine St @ Gov St.
Amerai il condominio per l'atmosfera, la luce, il letto comodo e la pace e la tranquillità. Il mio posto è buono per coppie, single, avventurieri e viaggiatori d'affari. Si prega di controllare il mio altro condominio che ho elencato, proprietà # 3715750. Siamo più che felici di darvi il benvenuto in entrambi gli appartamenti. Saluto personalmente i miei ospiti all'arrivo 24 ore su 24, 7 giorni su 7, quindi non c'è mai bisogno di cercare in giro una cassetta con una chiave. Non esitate a contattarci per qualsiasi domanda sulle mie proprietà! This is the second time I've stayed at one of Clifton's apartments and I' sure I'll be back. The place is old but clean, and has a nice public park across the street. There's a little electric fireplace in the TV stand that makes it cozy on chilly nights. Clifton is a great host, and takes time to meet you with the key and show you around. 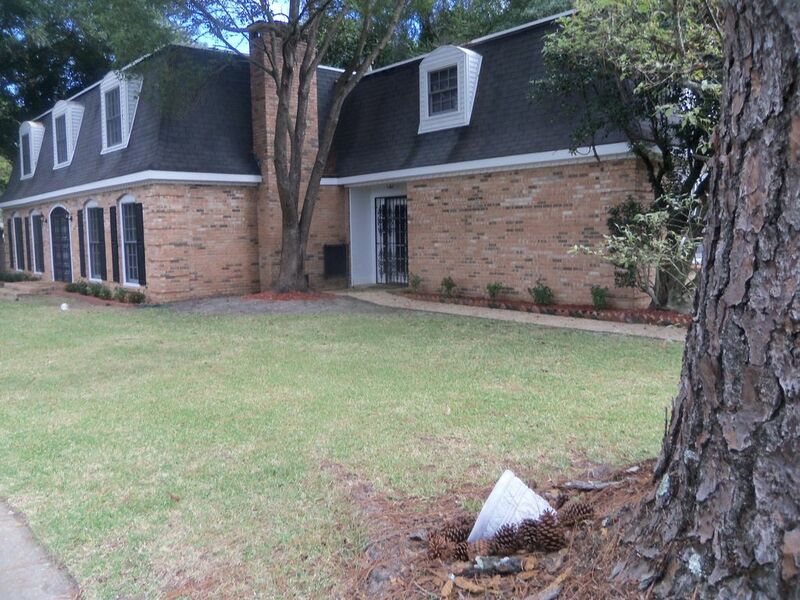 Very clean and quiet 2nd story condo in a well maintained building on the edge of a residential area near downtown Mobile. Assigned off-street parking place. Secure, private entrance. Less than 10 miles from the airport. Two blocks to Airport Blvd. which is lined with restaurants, drugstores, gas stations, and shopping. Close to a Walmart. Unit is well described in the VRBO listing. Windows with blinds on three sides. Comfortable bed. Good WiFi, but no cable. The small kitchen is nice, but only a microwave for cooking. Dishes for two plus paper plates and plastic cups if you don't want to wash dishes. Coffee, eggs, condiments and a bowl of candy included. Mr. Sons contacted me a couple of times to make sure everything was working and I had everything I needed. He lives on the lower level but is easily reached by phone or email. Clifton was a great host, very attentive to my needs. The condo was well prepared with everything I needed. If I had to make a suggestion, perhaps a firmer couch in front of the TV. This was really great for me. Great location, great value, and great host! Having the private entrance and separate kitchen area felt like your own apartment. Much more room than a hotel and it was very close to where I was working. I'll definitely stay again. Thank you to Mr. Clifton for allowing me to stay with you. Made our vacation so much better! Great location. Convenient to everything I wanted to do. I felt like a guest. I would absolutely recommend!